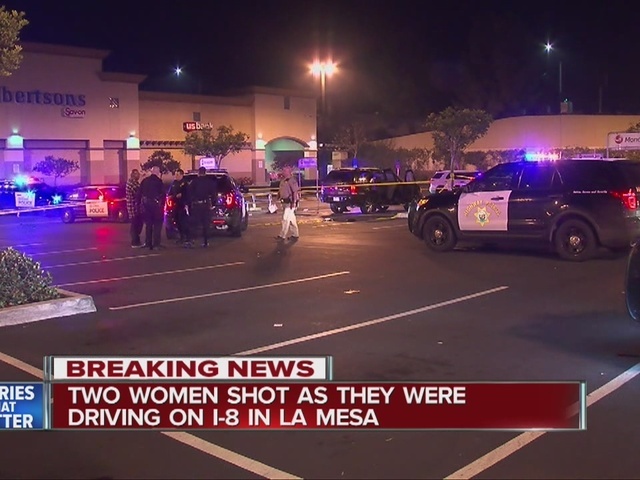 SAN DIEGO – Two women riding in an SUV were shot and injured in a car-to-car shooting on the Interstate 8 freeway in La Mesa overnight Sunday. The shooting occurred before 1 a.m. Monday on I-8 east at 70th Street. 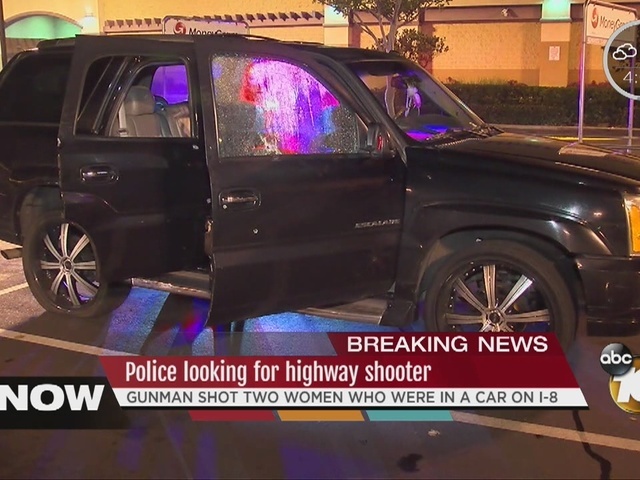 According to California Highway Patrol, four people were inside a 2003 Cadillac Escalade when a vehicle pulled up alongside and opened fire on the Escalade. At least 12 rounds were fired into the Cadillac. Two women, ages 29 and 31, were injured. The 38-year-old man driving the Escalade and a 28-year-old male passenger were not hurt. After the shooting, the driver of the Escalade continued to the parking lot of an Albertsons store about two-and-a-half miles away, where the group called police. The two female victims were rushed to Sharp Memorial Hospital with life threatening injuries. The driver was also booked on drunken driving charges. The freeway was shut down while officers investigated the scene. There was no description of the suspect vehicle. The victims told CHP they were on their way back from a concert in North Park by rapper The Game. CHP has not confirmed if this was a targeted shooting. No suspects have been arrested.